Reflections on Trump’s victory: I rarely reblog here, but I was so impressed by this post on the litlove blog that I felt it deserved to be read more widely. I suppose the thing is, it’s hard to live a good life. It’s energetically demanding to keep negative emotions at bay, to remain open and inclusive, to feel ready to tackle difficult problems that have no simple solutions, to refrain from judging . Whereas it is so easy to fall into catastrophising, into resentment and hostility, into a lingering sense of injustice, into the media’s relentless net of fears and terrors. Mr Litlove thinks that Trump is Brexit to the power of ten, that the world he knows is changing irrevocably for the worse, and that forces he doesn’t understand are rising. I completely get this – I feel it too. But the world has always been a cruel and violent place. It’s the past 60 years of peace and prosperity that have been the aberration. The tragedy is that we haven’t been smart enough to safeguard them. 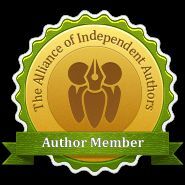 Just wanted to let you know that I was a guest today on the above website, at the kind invitation of writer, Lorraine Mace. The ABC Writer’s Checklist is a handbook for writers as well as a website. Both are full of interesting and useful stuff. You can also find out more about Lorraine’s writing on the website.